The male is strikingly coloured, with light blue to white bands on a bright green background. Females are more uniformly green. 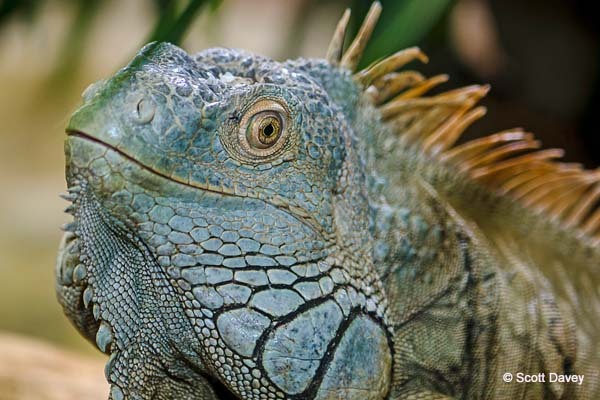 The Rhinoceros Iguana gets its name from its outgrowths, like horns, on the end of it's nose. 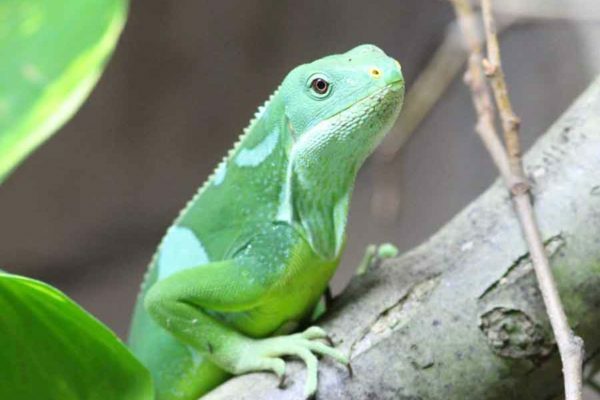 These large, heavy bodied lizards are dusky- grey or olive green with dark cross bands that are often barely visible. 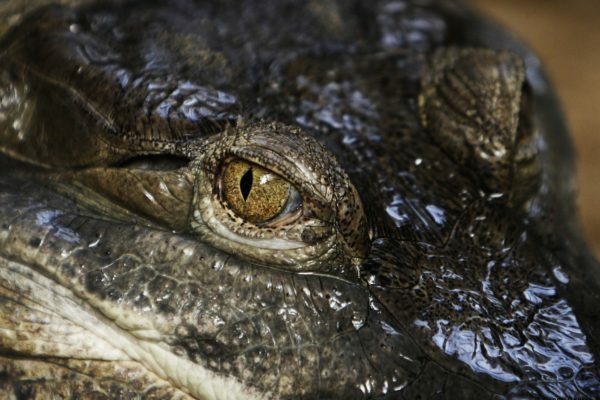 They have three horny bumps on the snout, which are more pronounced in males. The average adult is 2 feet in length. 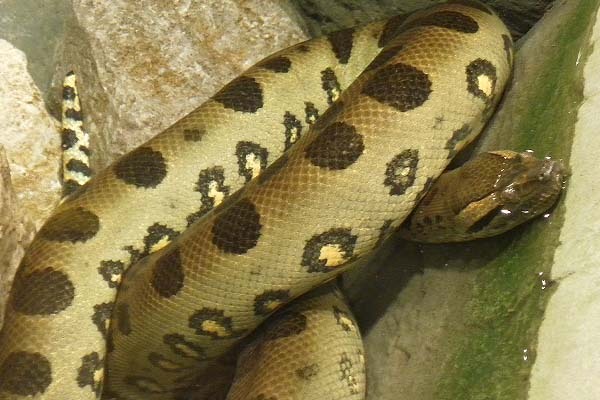 Female green anacondas are almost five times heavier than males. Their huge size can make it difficult for them to move on land, however, in water they can move with stealth and ease. 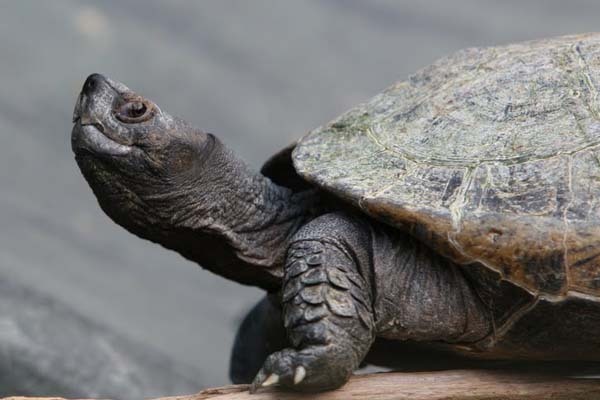 The giant Asian pond turtle is one of the largest hard-shelled, semi-aquatic turtles. 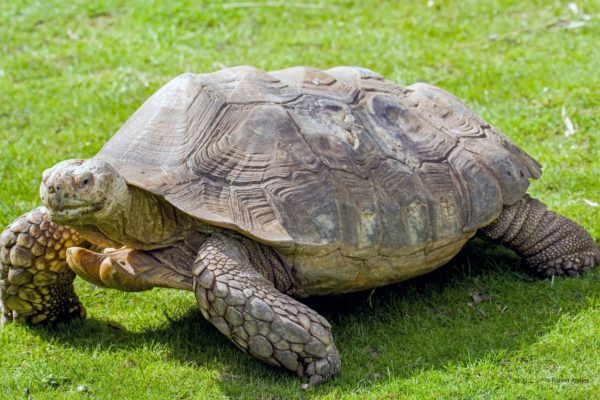 The Aldabra giant tortoise is indeed a giant, with individuals reaching over one metre in length! We have one male and one female Burmese pythons housed in the Wilds of Asia exhibit. 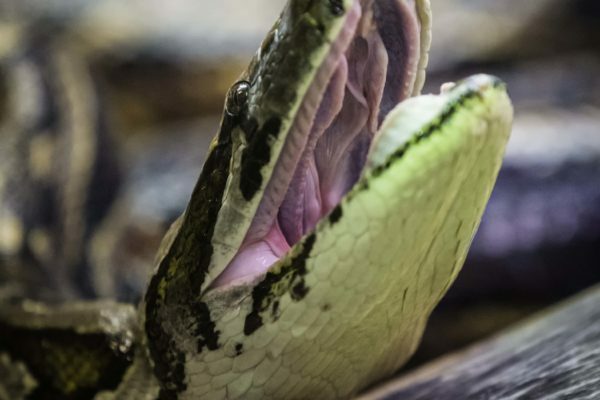 The Burmese python are capable of reaching 23 feet or more in length and can weigh up to 200 pounds! 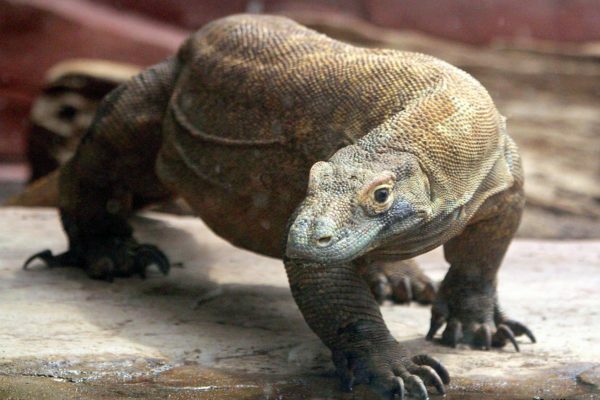 The Komodo dragon is classified as vulnerable on the IUCN Red List and listed on Appendix I of CITES; their number has declined in the wild due to the threat of widespread habitat loss, a loss of prey species and hunting.